Adare in Co Limerick is well-known for its antique shops, which add to its attractions for visiting tourists. But one of the charms of Limerick City, as you might expect in an old city, is the large number of antique shops there too. Limerick’s antique shops are scattered through Nicholas Street, Ellen Street, Saint John’s Square, Upper William Street, Roche’s Street, Mallow Street, Henry Street, and other parts of the city centre. 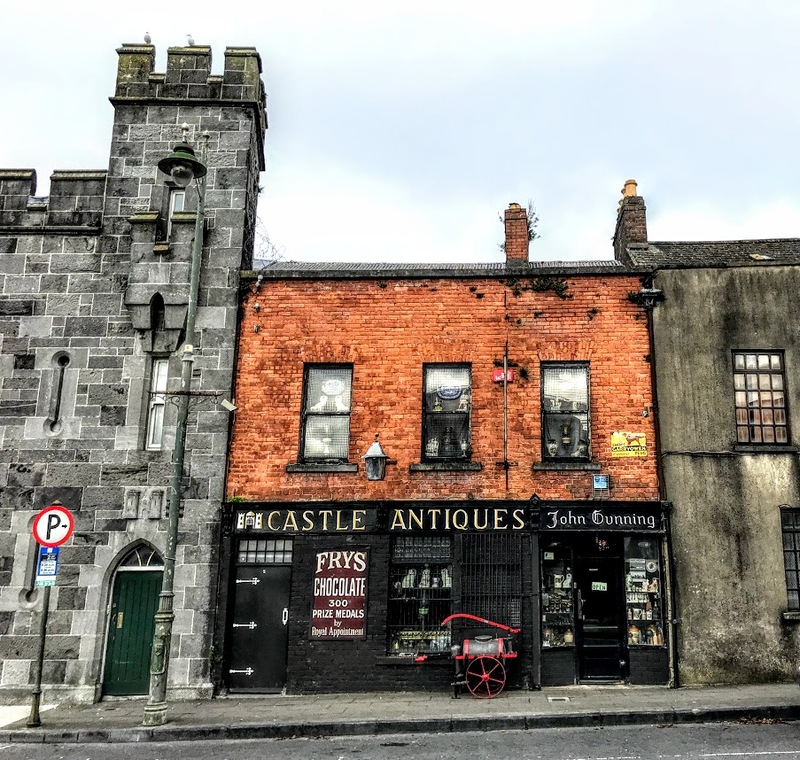 Perhaps one of the most charming antique shops in Limerick, from a photographic point of view, must be Castle Antiques at 2 Castle Street. 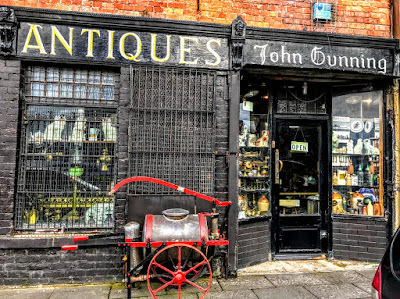 Located in the heart of Limerick over 40 years, this shop is just as charming outside, with its decoration, windows and old notices, as it is inside. Castle Antiques stands opposite King John’s Castle, beside the Victorian folly known as the Toll House and Thomond Bridge, both designed by the pair of architect brothers, James and George Paine, and close to the banks of the River Shannon. This long-established and charming ‘olde-worlde’ shop has survived almost unchanged while the city around it has grown and been transformed. A very charming man is John Gunning who is a native of Scariff in Co Clare.